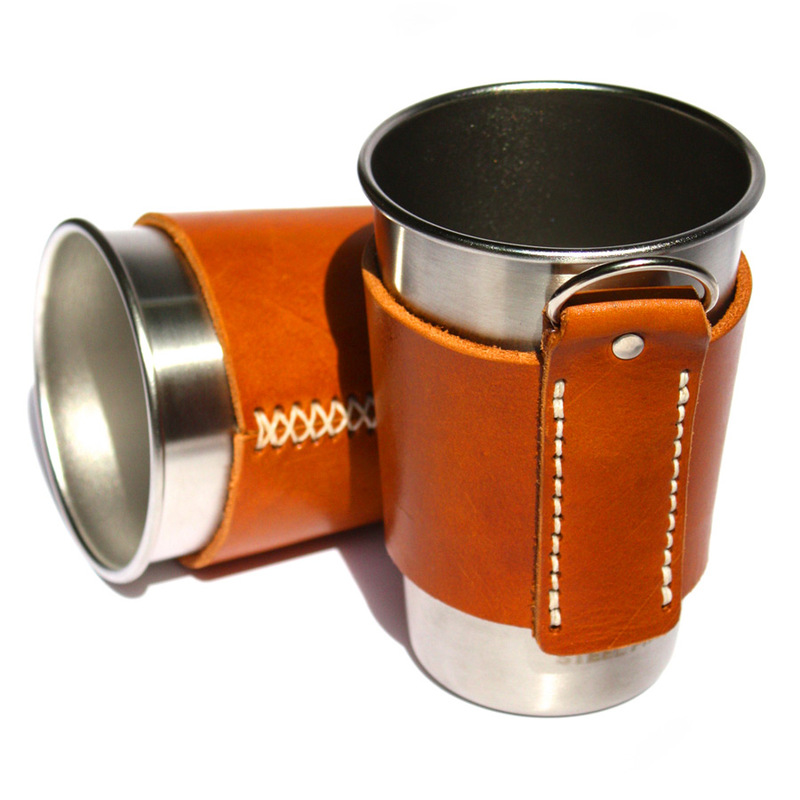 This project was a bit of self indulgence. 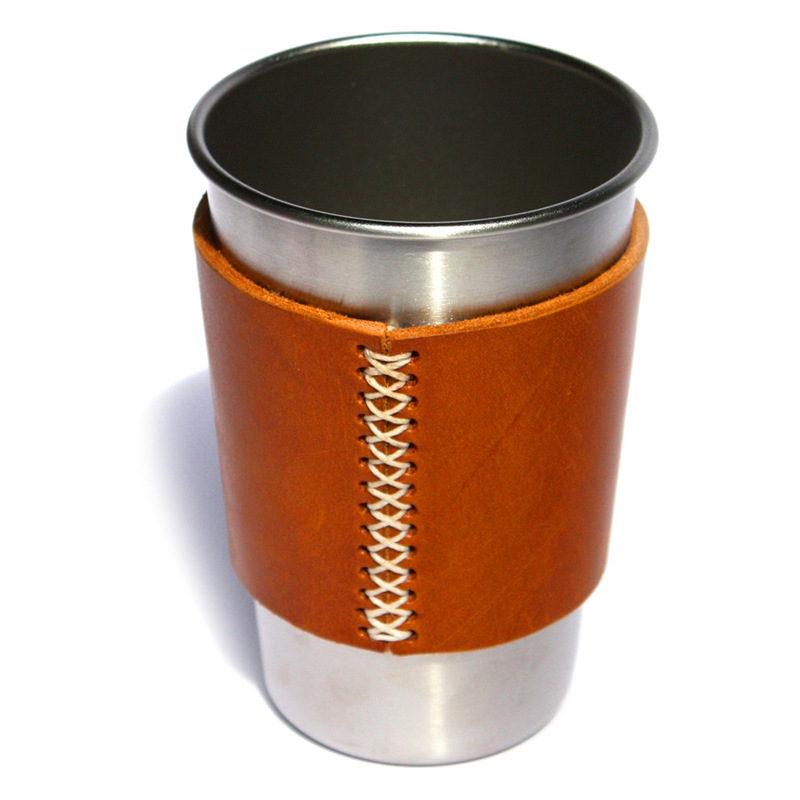 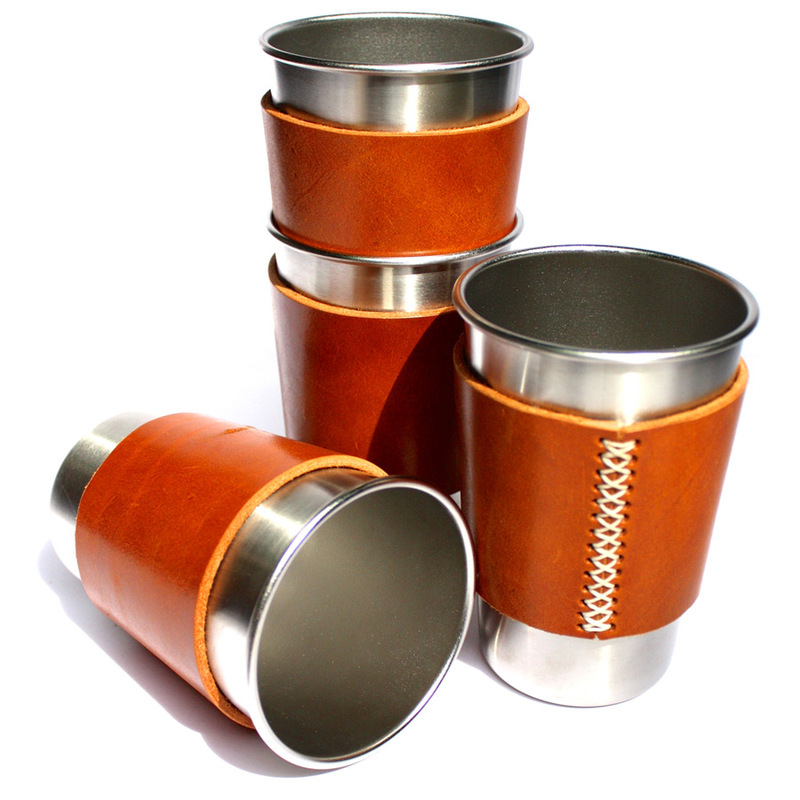 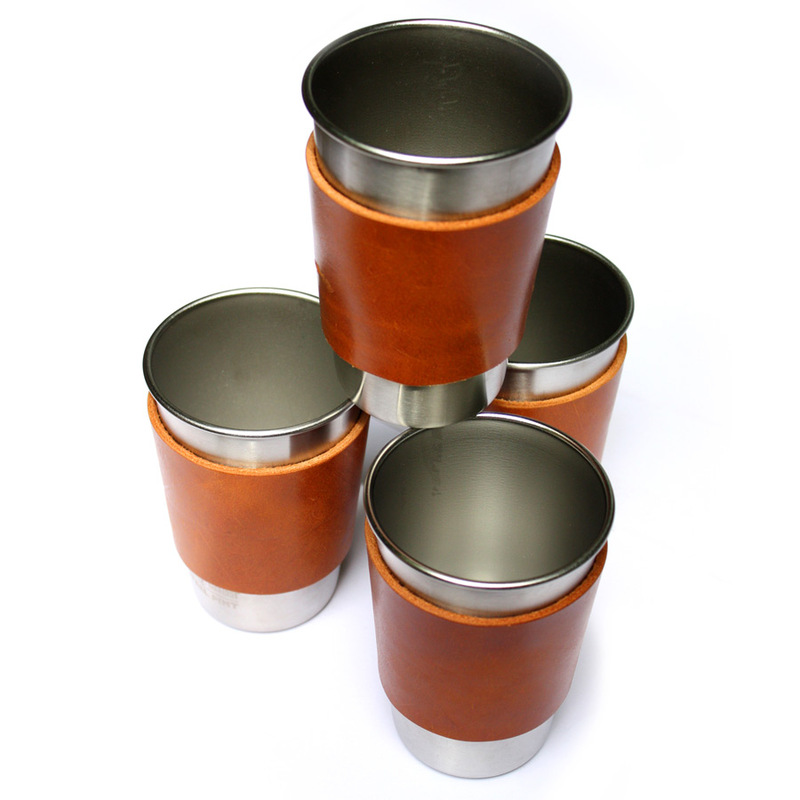 I'd bought a set of the steel pint pots for camping and also seen leather cuffs made for glass pint pots in America. 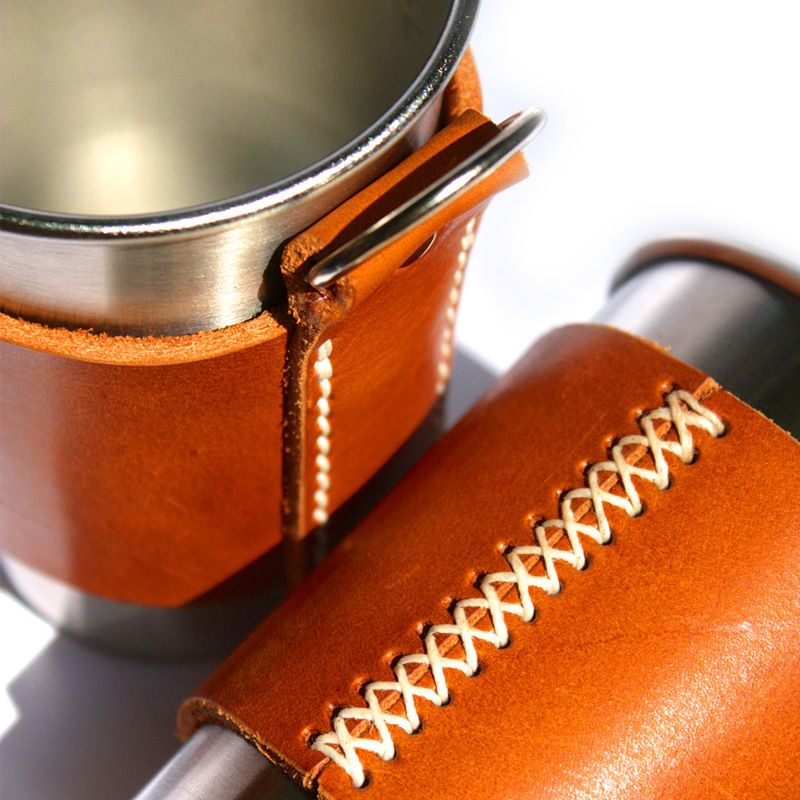 Putting the pair together to make a set - 3 with simple sleeves and the 4th with a d-ring so you can hang it off your belt or camping bag.